Blogger can use built-in API with oAuth. 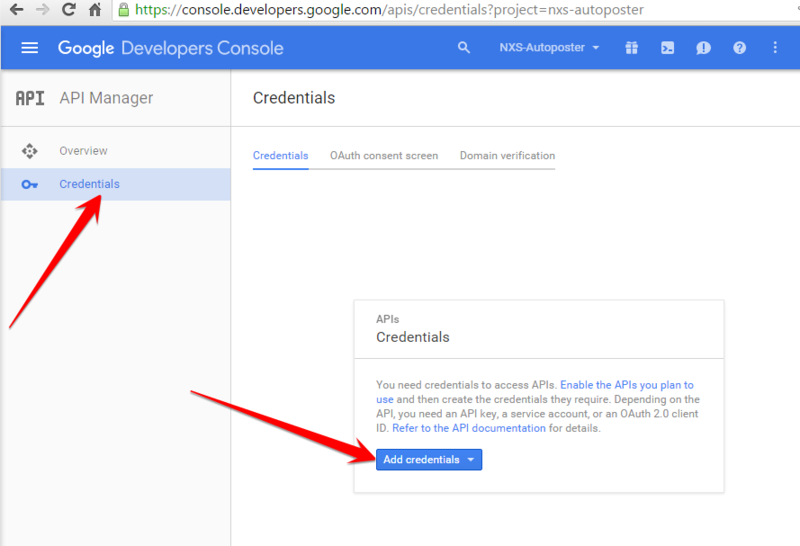 Also it can benefit from the NextScripts Universal API Library if you have it installed. 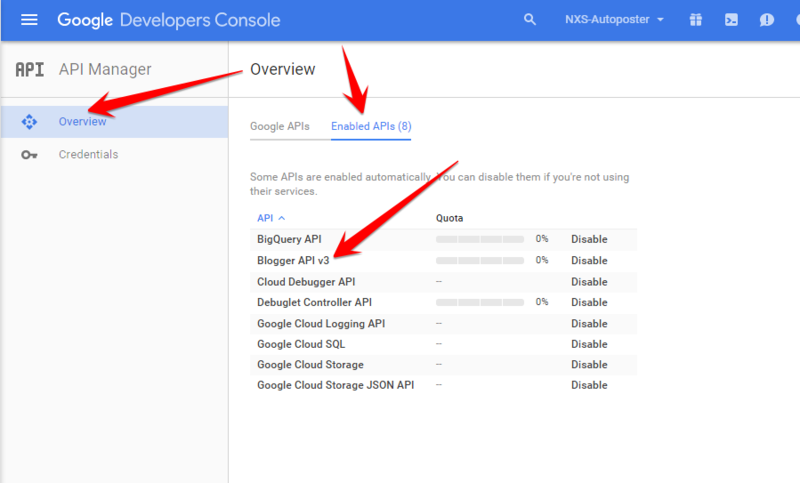 Blogger(Google) Native API: Free built-in API from Blogger/Google. Free built-in API from Blogger. More secure, more stable. 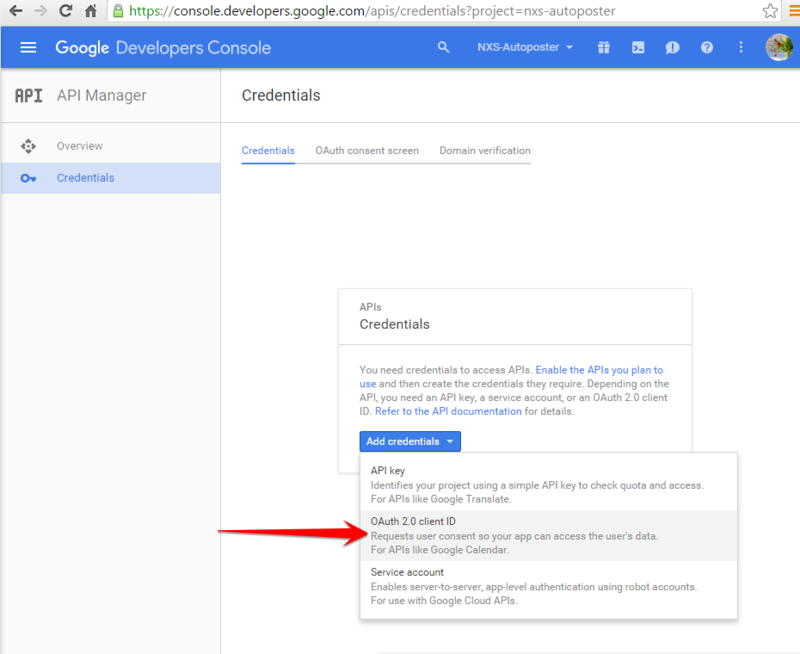 More complicated – requires approval of access to API by Google (3-5 days) and authorization. 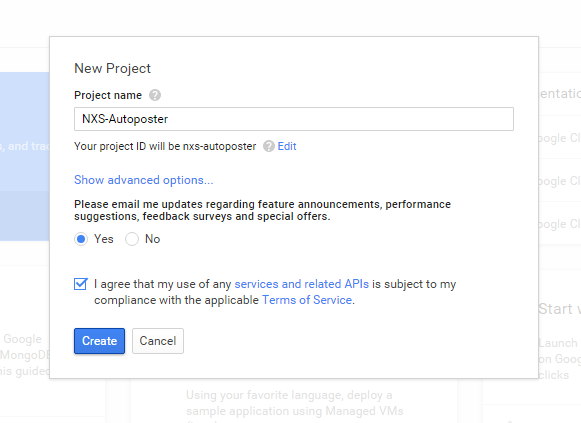 NextScripts API for Blogger: Premium API with extended functionality. Easier to configure, but less secure – requires your password. 1. Connect Blogger to your WordPress. 2. Click green “Add new account” button, select “Blogger” from the list. 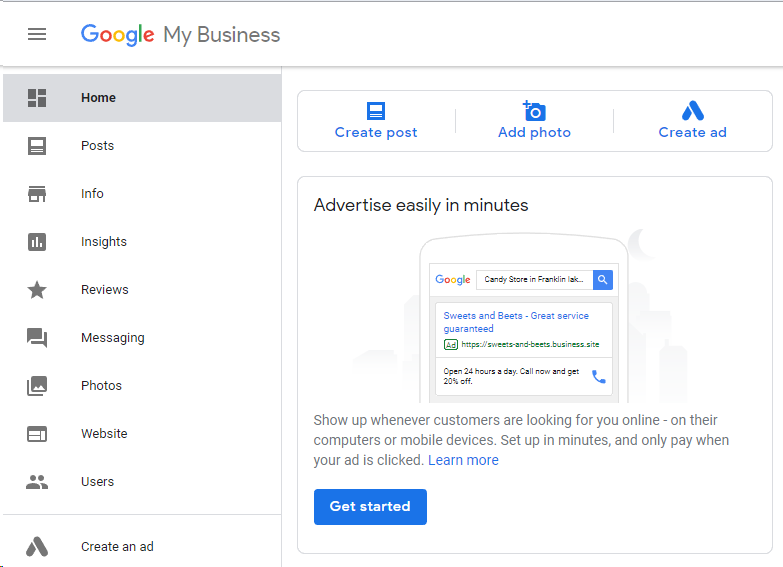 other then using your main Google account. 3. Enter the Blogger Blog ID. Log to your Blogger management panel and look at the URL: https://www.blogger.com/blogger.g?blogID=8959085979163812093#allposts. 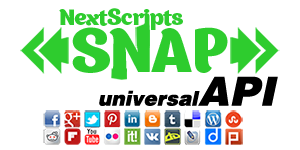 Your Blog ID will be: 8959085979163812093.
a. Click on your blog name at the main Blogger management panel. b. 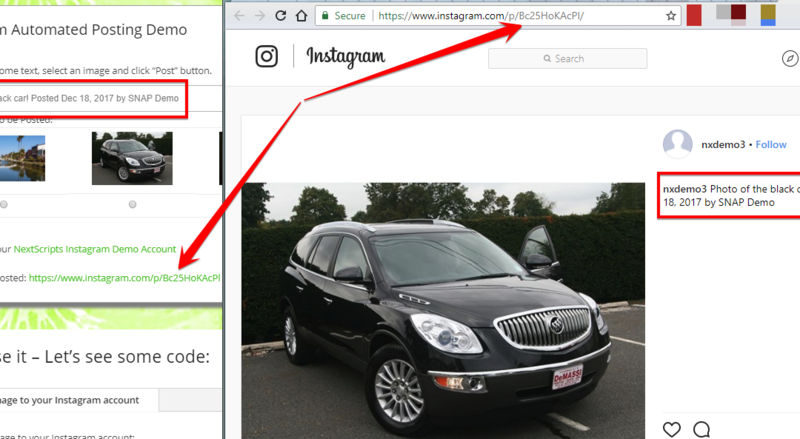 You will see your Blog ID in the address bar. 3. If you are using NextScripts API for Blogger, please fill Blogger Login and Password. 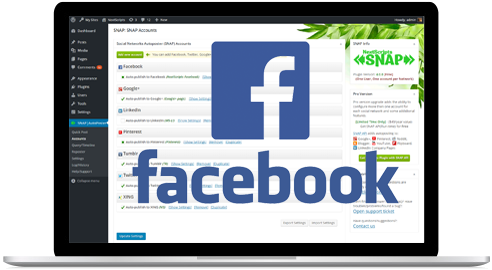 If you are using native Blogger API, please fill client ID and Client Secret. Important: Please use your own information, don’t literally re-type “NextScripts Blog”, “NextScripts.com” and other sample info. 2. Select a project, or create a new one. 4. 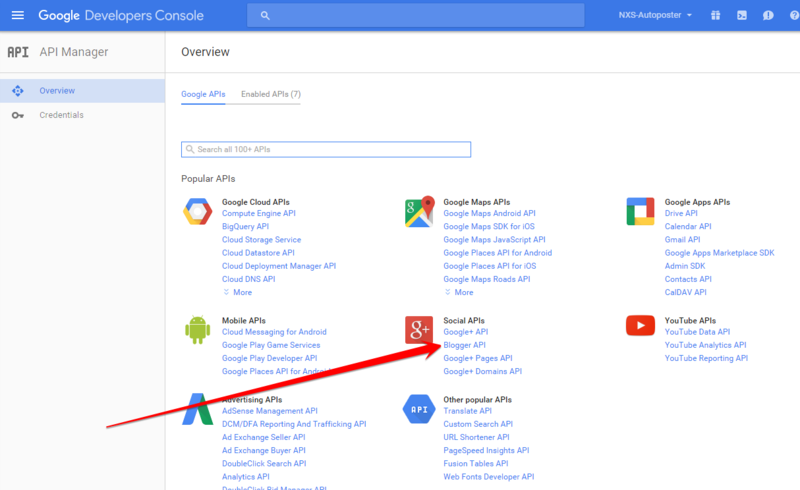 Click “Blogger API” in the Social APIs section. 5. 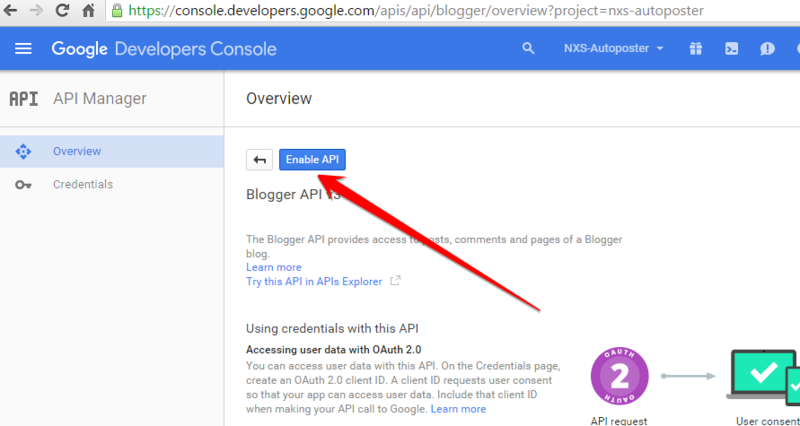 If you don’t have Blogger API enabled, click “Enable API”. 6. [You may get this step or not] Fill and submit the Request Form. Please do not use support@nextscripts.com in this form. We already have API activated for our account, we don’t need to do it again. Please use your own email. Wait 3-5 days until you receive the confirmation email. 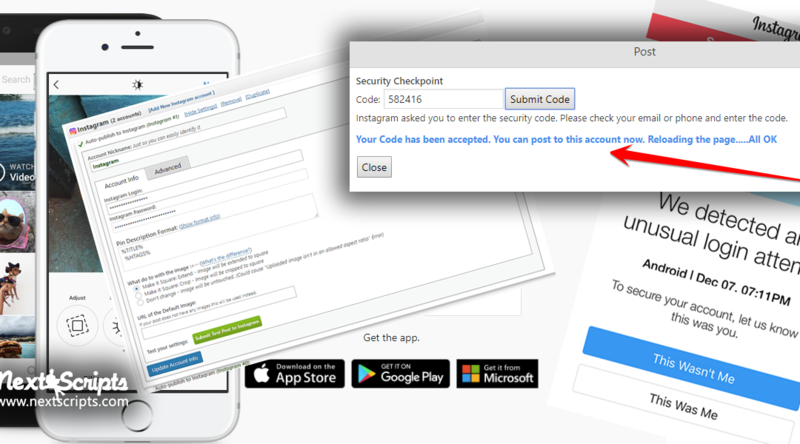 Follow the activation instructions from the email. ***** Don’t want to wait days for the approval? 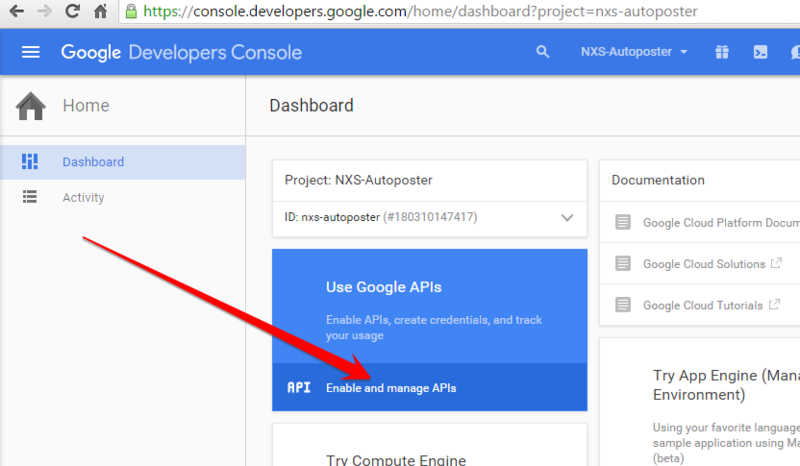 Get the NextScripts API and post to blogger right now, using your username and password. 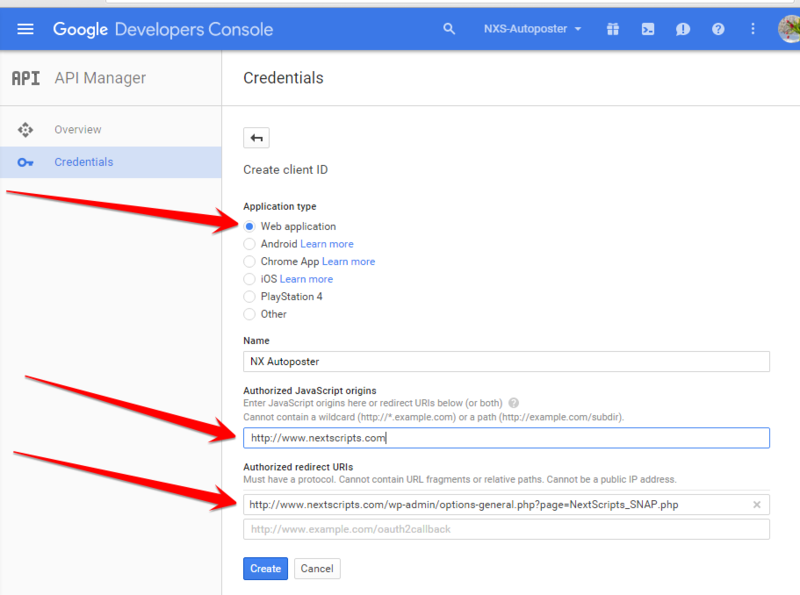 Make sure Blogger API is now enabled. 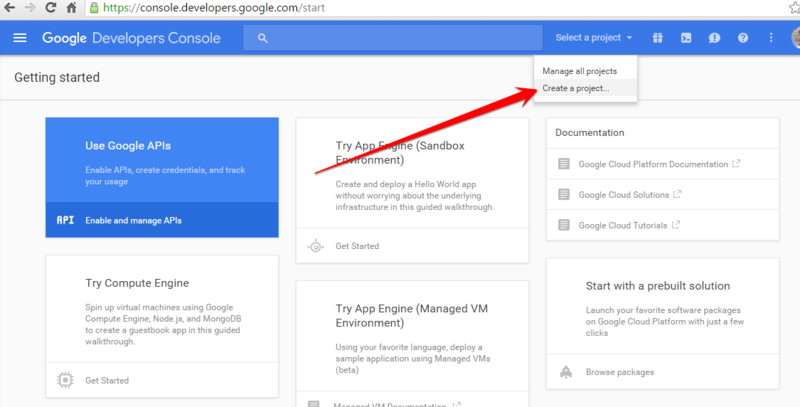 Go to API Manager, Click Overview, click Enabled API. 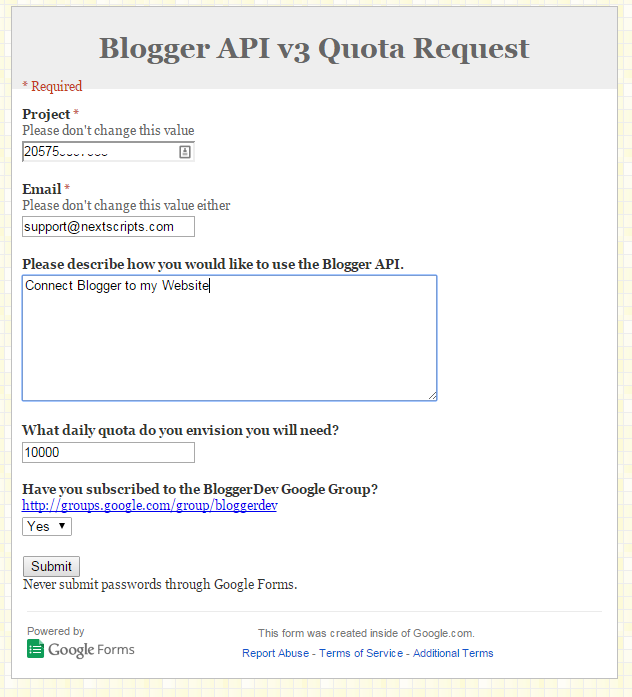 Blogger API V3 must be in the list. 7. In the sidebar on the left select Credentials. 9. Configure Consent Screen if asked. Fill all necessary Info, click “Save”. Important: Please use your own information, don’t literally re-type “NextScripts Blog”, “NextScripts.com” and other sample info. 10. Choose “Web Application”. 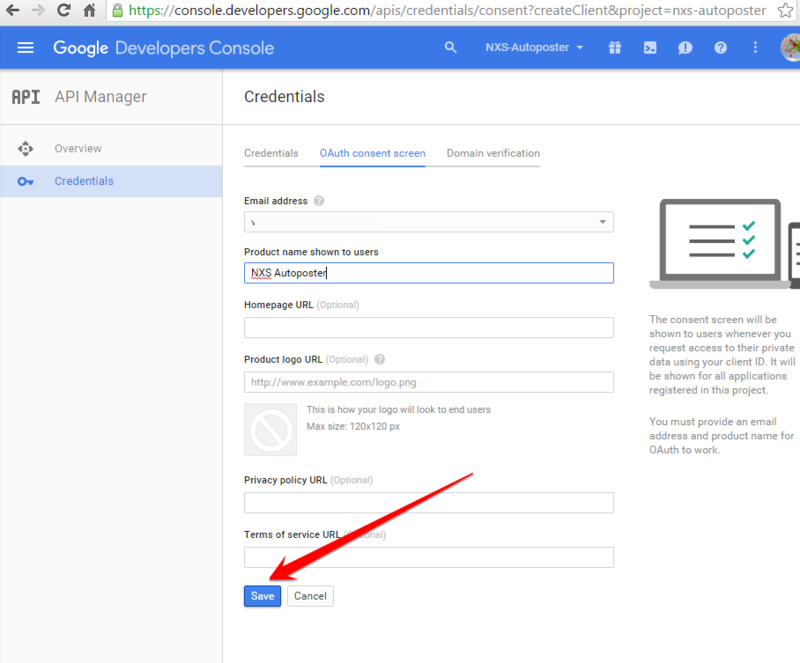 Fill “Authorized redirect URIs” with the URL of SNAP Plugin settings page. Click “Create”. Important (Again! ): Please use your own information, don’t literally re-type “nextscripts.com” and other sample info. It will work ONLY if you use your own website URL here. 11. 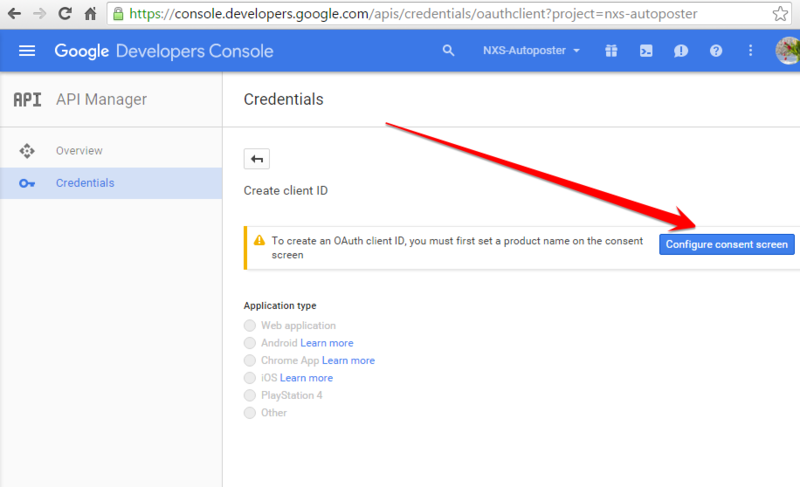 Notice OAuth Client ID and Client secret. 2. Your Blogger is ready to use.